Drycleaning Performance Evaluations (DPE) and Laundry Performance Evaluations (LPE) by the Drycleaning and Laundry Institute (DLI) are a simple and effective way to evaluate the inner workings of your operation. During an Evaluation, DLI will help you test the effectiveness of the products and procedures used in your facility. Drycleaning Performance Evaluations (DPE) Test. 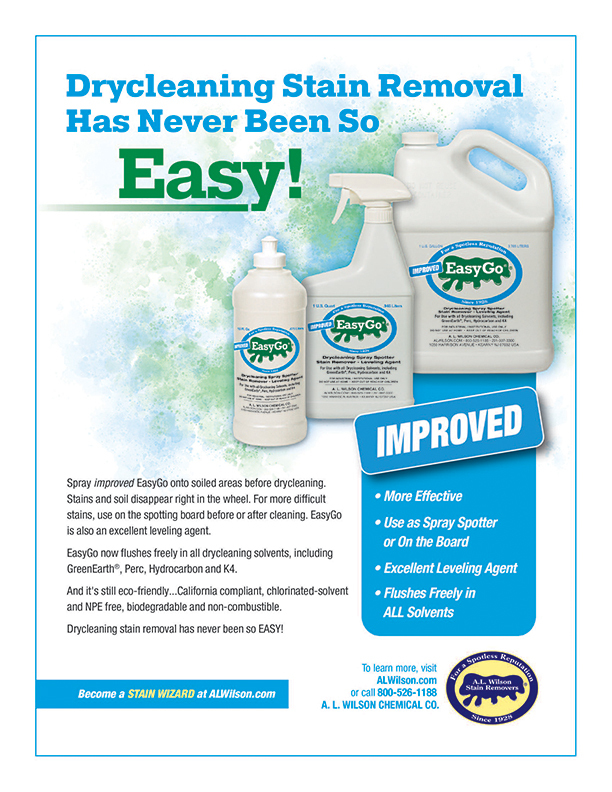 To get started, contact DLI to request Evaluation packages for your laundry or drycleaning system or both. This can be done by ordering from DLI’s website, calling DLI, or sending us an email. 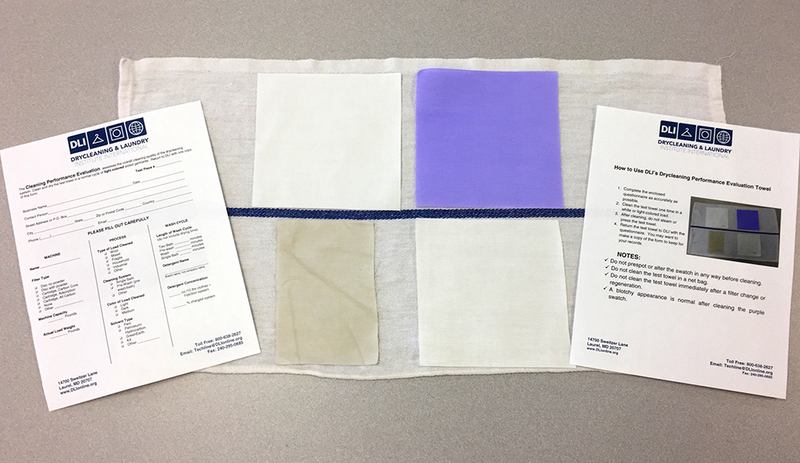 After ordering the Evaluation package(s) of your choice, you’ll receive in the mail a number of different fabric swatches to add to the laundry formula or cleaning cycleyou’d like to test. Run the swatches through your machines the required number of times according to the instructions provided. Return the cleaned swatches to DLI to have them comprehensively analyzed for a variety of metrics such as how well your processes are keeping whites white and removing soils. The laundry test towels will show effectiveness of bleaching and whether or not the wash formula is compromising fabric tensile strength. 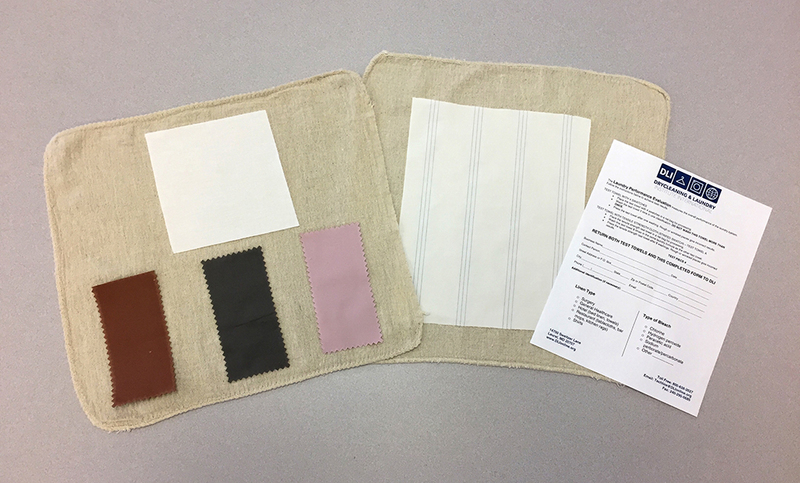 Our technicians will subject your returned swatches to a variety of tests in DLI’s Research Laboratory. DLI urges members who use the service to provide as much information as possible on the request form.With a DPE it is important to know what equipment, detergents, and solvents are being used. LPE users should indicate the laundry classification and the type of bleach used in the formula. On the bottom of the DPE report a member sees where the cleaning is excellent, good, fair, or poor in terms of graying, yellowing, whiteness, water-soluble soil, and insoluble soil. A Laundry Performance report shows whether or not the wash formula met acceptable standards. Based on the test results, DLI then provides tips on how to increase the efficiency and effectiveness of your laundry and drycleaning procedures. “Sometimes small changes in machine performance or even the environment can affect our cleaning ability, changes that may be undetectable day-to-day,” said Aaron Nishizaki of Twin Oaks Cleaners in Houston, Texas. “The Cleaning and Laundry Performance Evaluations give us a clearer insight into changes in our process.” Parts break down, filters wear out, and works get clogged up, meaning that regular testing is an important part of keeping machines, cleaning cycles and laundry formulas working properly. Plus, you’ll gain peace of mind knowing that you’re doing everything in your power to live up to your customers’ expectations. Laundry Performance Evaluations (LPE) Test. The cost of each test beyond the number allotted according to membership level is currently $29 for the Drycleaning Performance Evaluation and $35 for the Laundry Performance Evaluation. Also available are 60-day and 90-day subscription services that allow drycleaners to continually test their equipment to guarantee that the services they provide to their customers are of the highest possible quality. “My grandparents started Twin Oaks Cleaners in 1954,” Nishizaki said. “Before them, my great-grandparents were in the laundry business. For four generations my family insisted on one thing…that our customers’ clothes were cleaned in only ideal conditions.” One of the founding principles of the Nishizaki family garment care dynasty is to provide reliable service using the best procedures available. Firmly cement the legacy of your own business by making sure that your wetcleaning and drycleaning machines are operating at peak efficiency. DLI's next class begins July 16. Click to Learn More and Register. Members who receive a passing grade on the Drycleaning Performance Evaluation will receive a certificate to display as evidence that their cleaning is the best it can be. “Being able to show the customer that we care about their clothes and can confidently prove to them that our cleaning power is tested and checked several times a year sets us apart from some cleaners,” Nishizaki said. To request a Drycleaning or Laundry Performance evaluation call (800) 638-2627 or send an email to: techline@dlionline.org. Number of included evaluations by membership category. Subscriptions are available for this service to provide periodic monitoring of your cleaning quality. Previous postStop that Expensive Leak! Thanks for your comment. 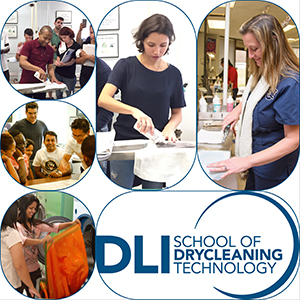 You may view DLI’s complete Products and Services catalog at: https://www.dlionline.org/default.aspx?bid=70 Membership is required to purchase most items, though courses at DLI’s School of Drycleaning Technology are open to non-members. Thanks again.